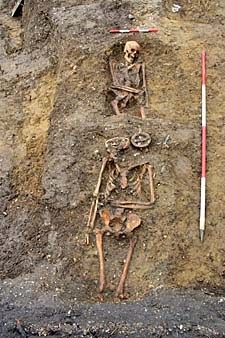 World Archeology: Shield-wearing skeleton, necklace and grave goods found in early Saxon inhumations. 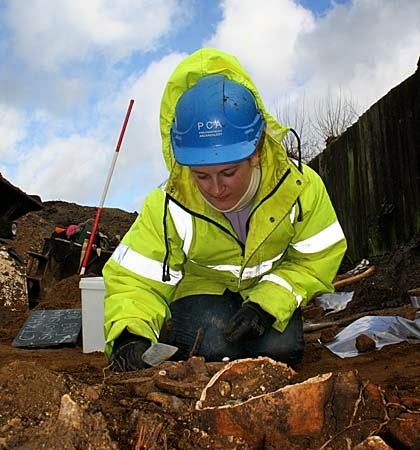 Shield-wearing skeleton, necklace and grave goods found in early Saxon inhumations. 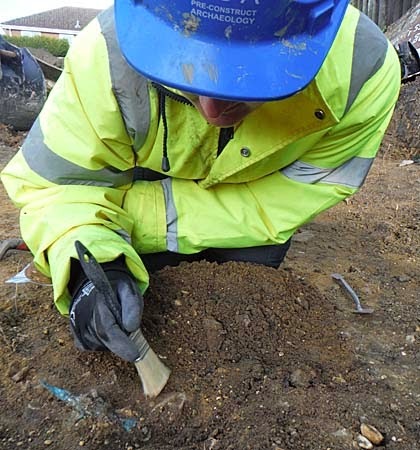 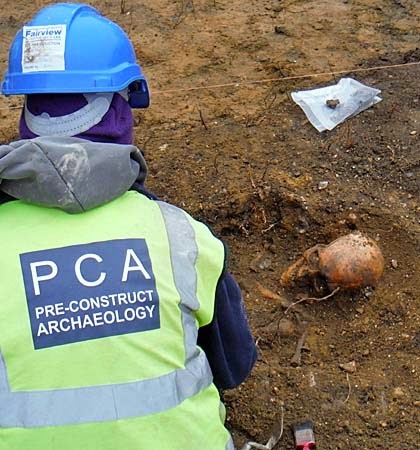 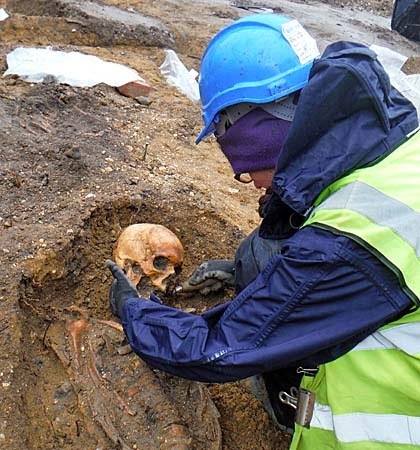 “A total of nine inhumations were discovered, ranging from the very young to fully grown adults,” says Jon House, of Pre-Construct Archaeology, thanking local residents for their “great interest” and “warm and welcoming” approach to the team during unfavourable weather conditions. 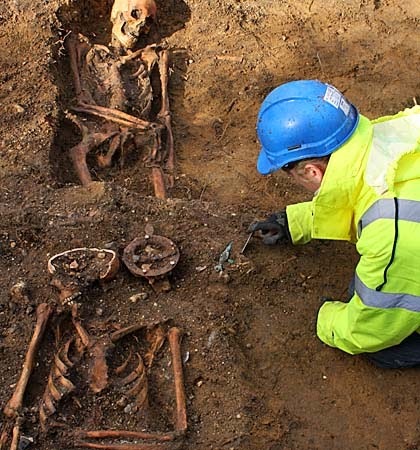 “The burials included an adult male, found lying upon a decorative shield and with a knife and a spear. 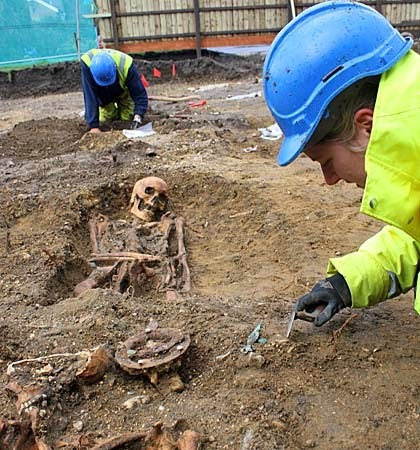 “A beaded necklace was found around the neck and upper torso of an adult female, who was also buried with a belt or girdle with copper and iron fittings. 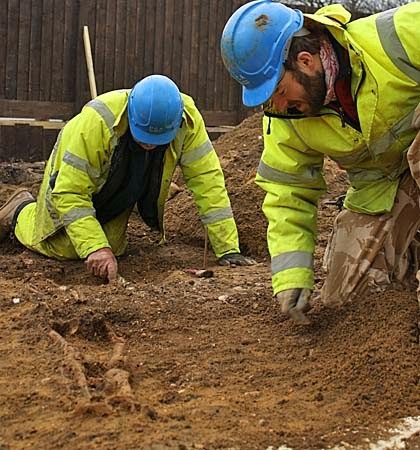 “Projects such as these prove how even the smallest developments can yield a wealth of archaeological information and, in the case of this particular site, details not only of how people lived but also of their treatment towards the dead over 1,400 years ago.